Mrs. Helen J. (Yelle) Stringer passed away on August 27th 2018 surrounded by her 3 surviving children. Daughter of the late Arthur and Alma Yelle, Helen was born on April 12th, 1923. 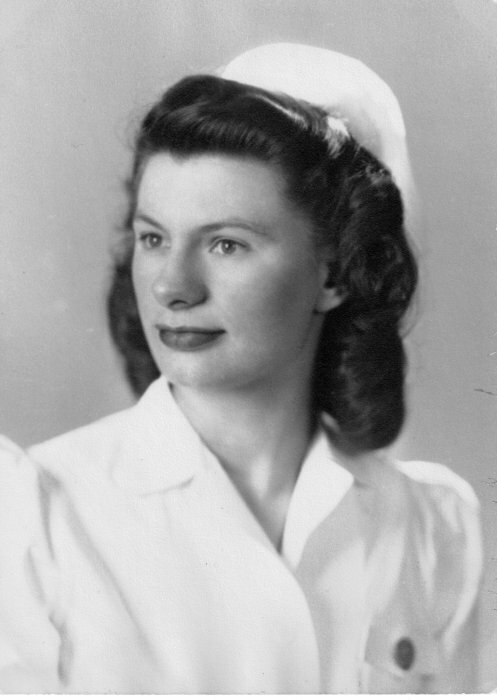 Helen was born and raised in Taunton, she was a 1942 graduate of St. Mary’s High School and a 1946 graduate of the Union Hospital School of Nursing. Prior to her retirement, Helen was the head nurse on the S2 surgical floor at Morton Hospital. She was a former Communicant of St. Paul’s Parish in Taunton. Helen was very active with the Oakland Seniors and also enjoyed sewing, knitting, traveling and most of all her family. Loving wife of the late Harry G. Stringer, beloved mother of Gilbert J. and his wife Lynn Stringer of Middletown R.I , Carol A. and her husband Daniel Zebrowski of Leander Tx, Paula Jeanne Levasseur of Vancouver Washington., and the late Kevin J Stringer. Sister of G. Roger Yelle and his wife Maria of VA, Helen also leave behind 8 grandchildren, 17 great grandchildren, 1 great great grandchild, and several nieces and nephews. Also, the sister of the late Yvette Demers, Viola Heffren, Armand Yelle, Raymond Yelle, Albert Yelle, and Loretta Conroy.